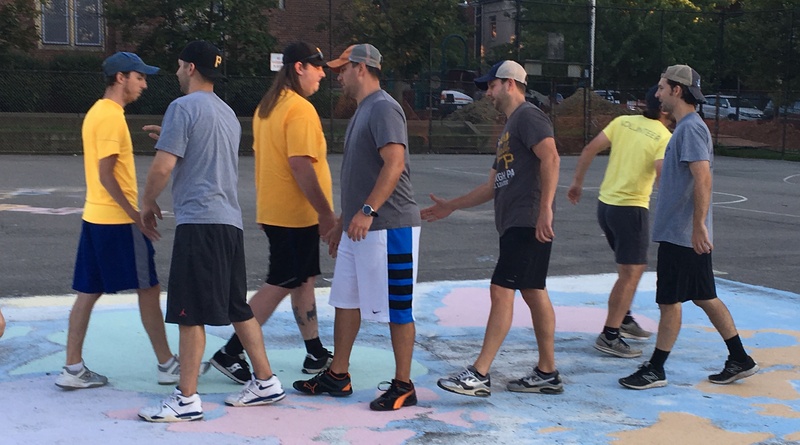 Questionable Outfit and Eastbound & Dahn shake hands at the conclusion of their first round playoff series. 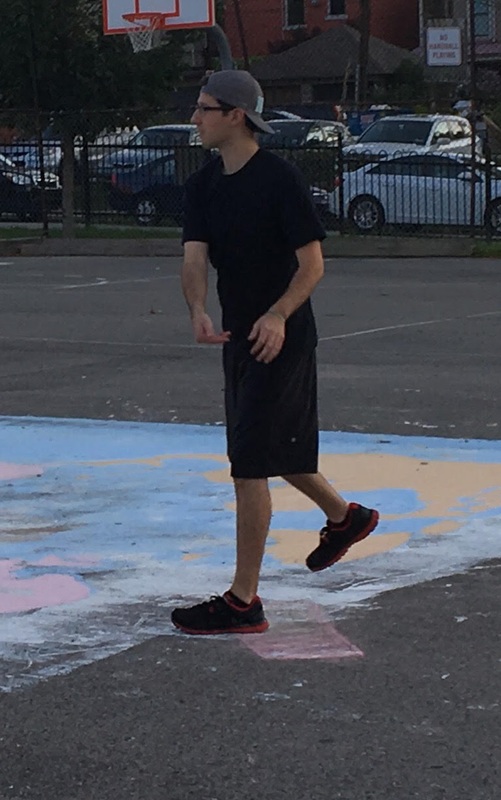 Questionable Outfit earned the sweep, winning the first three games of the best-of-five series. 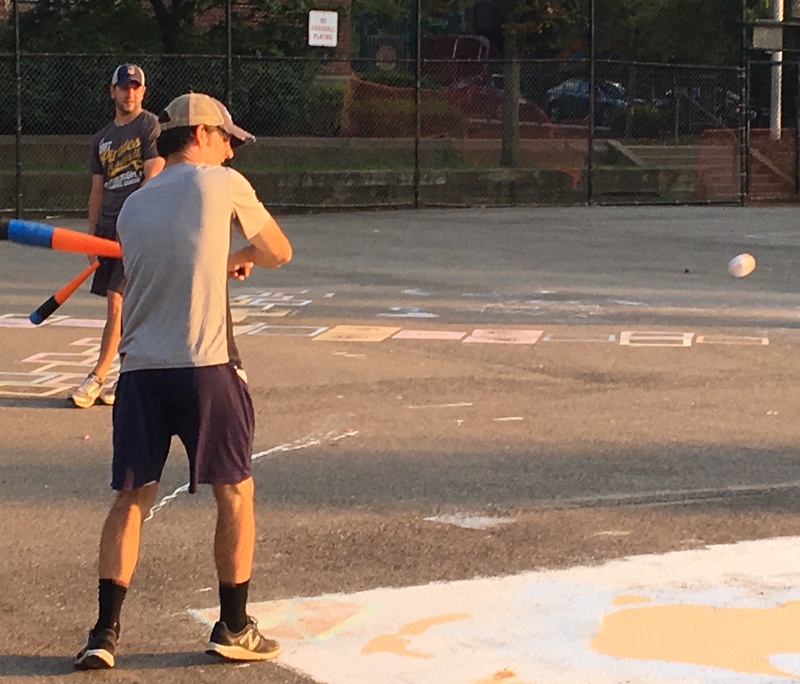 The three-time defending champions of the EWL, Questionable Outfit, earned a fifth consecutive trip to the EWL Wiffle Series by completing a first round sweep of Eastbound & Dahn with a 16-0 win in game three. Miller hit for the cycle, going 7-for-8, and all four Questionable players pitched effectively in what was nearly a no-hitter (until the final inning). Eastbound & Dahn’s season ended with twenty consecutive losses in what will go down as perhaps the most challenging season in EWL history. Questionable Outfit will await the winner of the first round series between the Ham Slams and Cookies & Cream to determine who they will face off against for the championship. BK started on the mound for Eastbound & Dahn, and he fell behind early. Bob led off the game with a triple, and Tom drove him in with an RBI double that made the score 1-0. Rairigh then singled to put runners on the corners, and when Miller grounded out to center for the first out, Tom score, putting Questionable ahead 2-0. Bob followed with a single, scoring Rairigh, and the lead was 3-0. Tom then singled to put runners on first and second with one out, but BK avoided further damage, retiring Rairigh for the second, out stranding two runners and ending the inning. Bob took the mound to start the game for Questionable Outfit, and he retired the side in order in the bottom of the first. 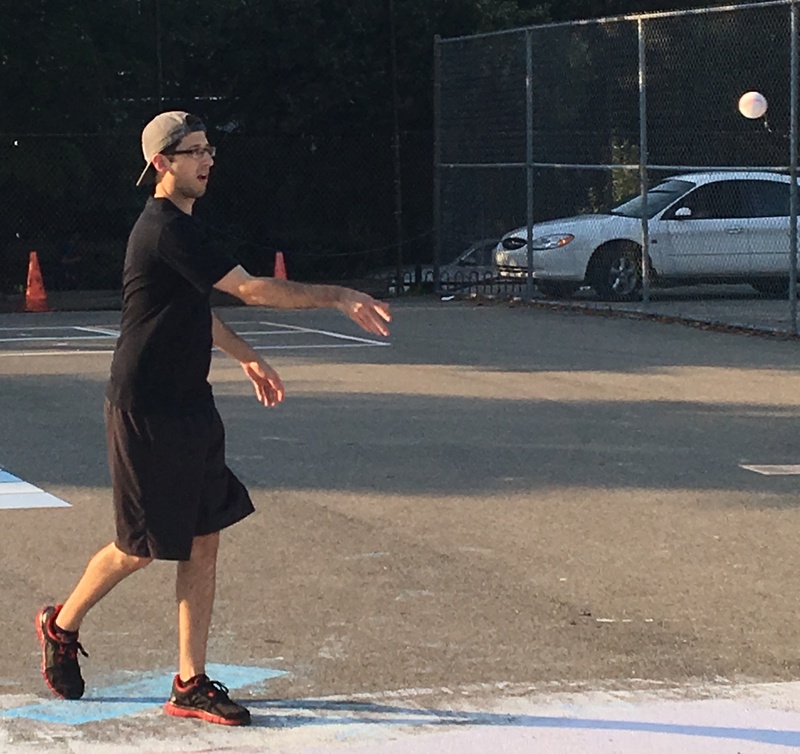 Bob pitched two scoreless innings for Questionable Outfit and earned the win in game 3. Miller led off the top of the second with a double, but Questionable couldn’t score him, as BK retired Bob and Tom to strand the runner and end the inning with the score 3-0. Questionable put Rairigh on the mound in the bottom of the second, and he retired Kyle and BK consecutively. Questionable Outfit would open up a big lead in the top of the third. Rairigh led off with a triple, and Miller drove him in with a two-run bomb to left-center, making the Questionable lead 5-0. Bob then singled and move to third when Tom doubled. Mike came to the plate with two runners in scoring position, and he scored them both with an RBI single that made the score 7-0. Miller then tripled, scoring Mike, and the lead was 8-0. The big inning would end there, as BK retired Bob and Tom, and Eastbound & Dahn trailed by eight. Rairigh launches one of his five hits in the game. He also pitched two scoreless innings of relief in the Questionable Outfit win. Questionable Outfit turned to Miller on the mound in the bottom of the third, and he retired Adam and Nate C in order, making Questionable Outfit perfect through three innings. Rairigh led off the top of the fourth with a single, and he moved from first to third when Miller followed with a single that gave him the cycle for the game. BK got Bob to ground out to center for the first out of the inning, but Rairigh scored on the play, making the score 9-0. Tom then grounded out to left, ending the inning. 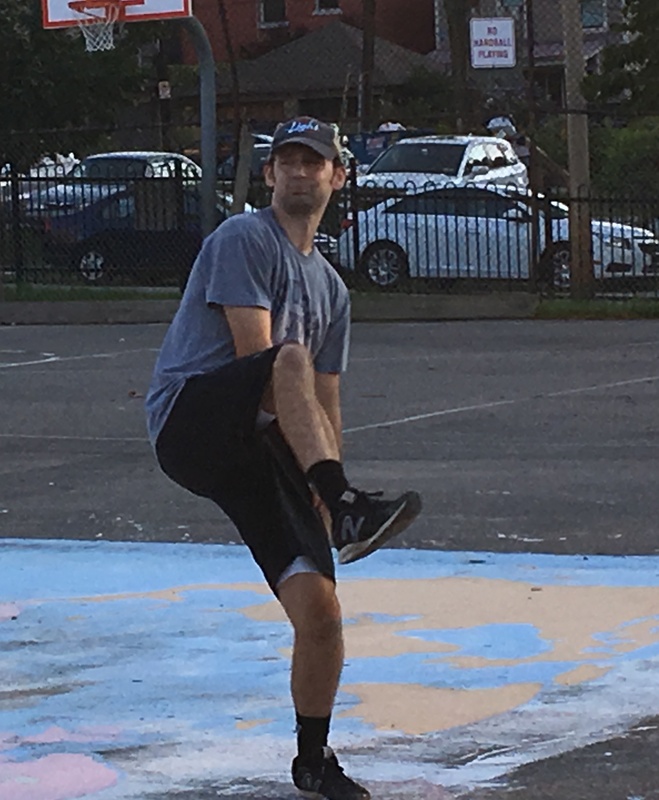 Questionable continued their rotating cast of pitchers, switching to Tom in the bottom of the fourth. He retired the side in order, the seventh and eighth consecutive batters retired to start the game. Questionable added more to their lead in the top of the fifth. Rairigh led off with a double and moved to third when Miller followed with a double. Bob grounded out to center for the first out of the inning, but both baserunners scored on the play, and Questionable Outfit led 11-0. 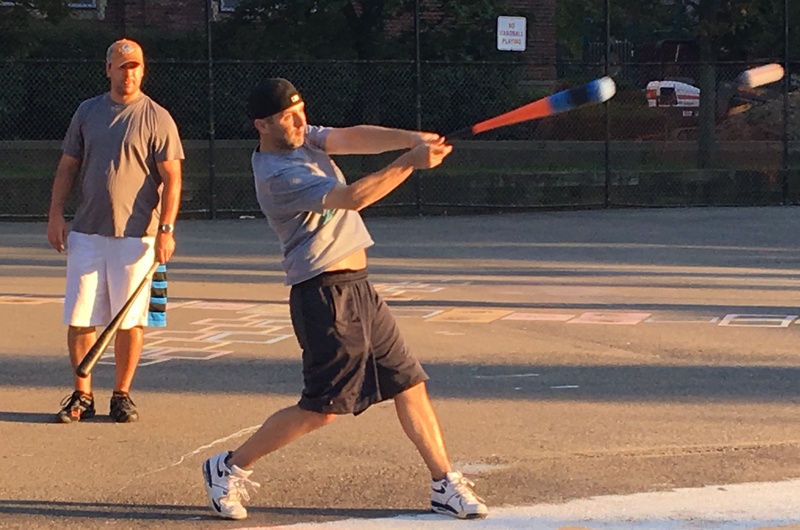 Tom then hit a solo homer to left, pushing the Questionable lead to 12-0. BK retired Rairigh to end the inning, and the lead was now twelve runs. Bob returned to the mound in the top of the fifth, and he send Nate O and Christian down in order, making Questionable Outfit perfect through five innings with a twelve run lead. Miller started the top of the sixth with a double, and Bob drove him in with an RBI single that made the score 13-0. 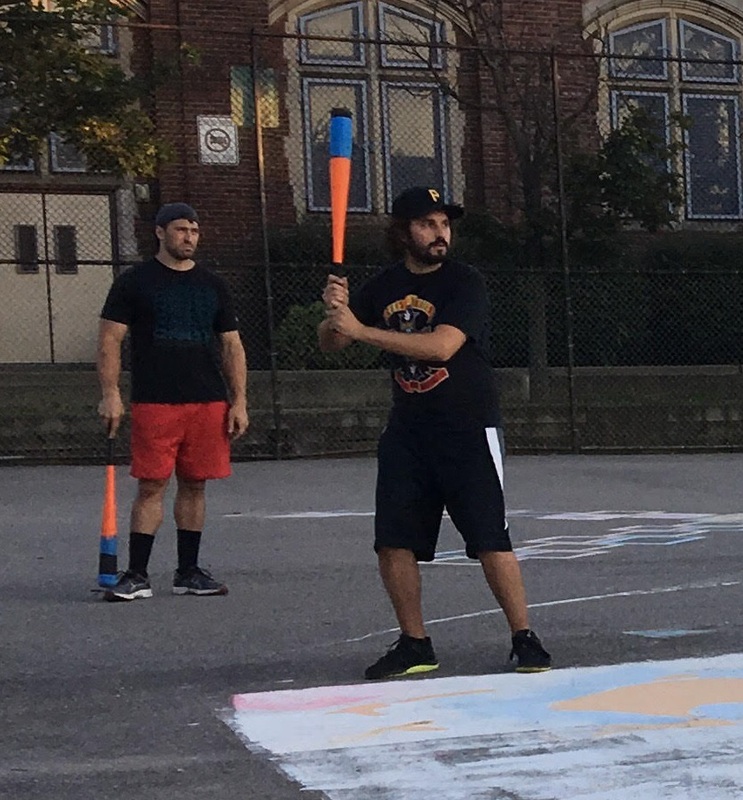 Tom singled to put runners on first and second, and two batters later, Miller hit a one-out double, clearing the bases, and Questionable Outfit’s lead was 15-0. Bob then doubled, scoring Miller from second, and the score was 16-0. 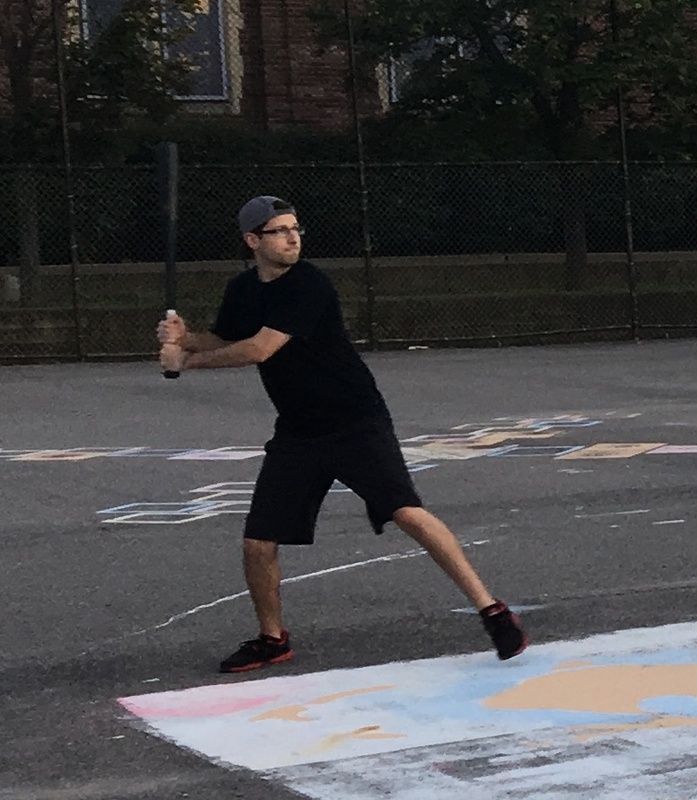 BK retired Tom to end the inning, and Eastbound & Dahn would head into the bottom of the sixth needing sixteen runs to extend their season and a hit to break up the perfect game. The rotation of pitchers turned to Rairigh, who pitched a perfect frame in the bottom of the second for Questionable Outfit. He retired Adam, the first batter he faced, and he was one out away from sealing a first round sweep and a perfect game no-hitter. But Eastbound & Dahn showed a glimpse of life on their way out of the 2017 season. Nate C came to the plate as the last out, but he managed to hit a seeing-eye single that fell in for a base hit, breaking up the no hitter. 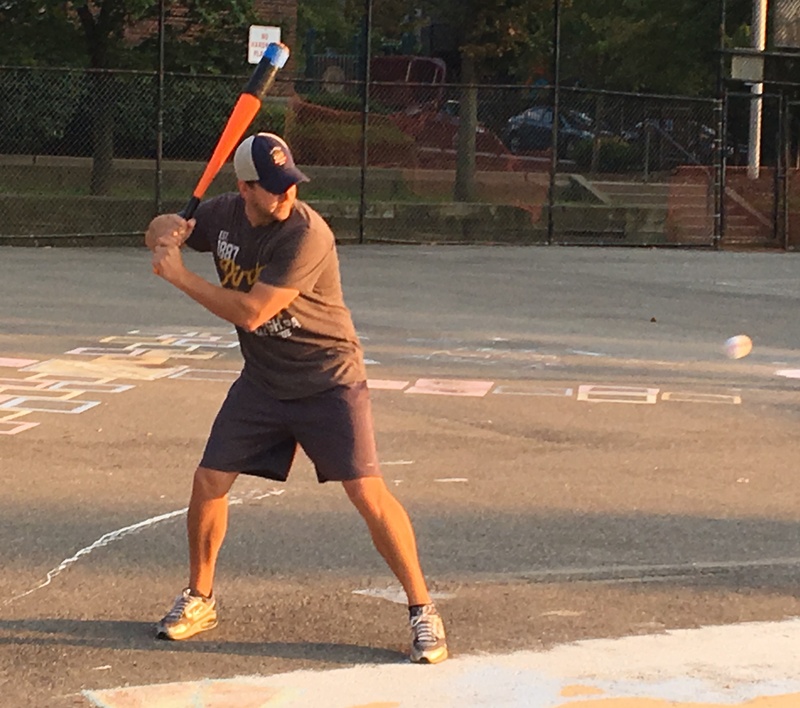 After retiring the first eleven hitters of the game, the twelfth hitter, Nate C., had broken up the perfect game. Eastbound got another hit when Nate O. followed with a single, and Eastbound had two runners on. They had broken up the historical no-hit bid, but a sixteen run rally wasn’t in the cards. Rairigh cracked down and retired Christian for the second out of the inning, stranding both runners and ending the game. 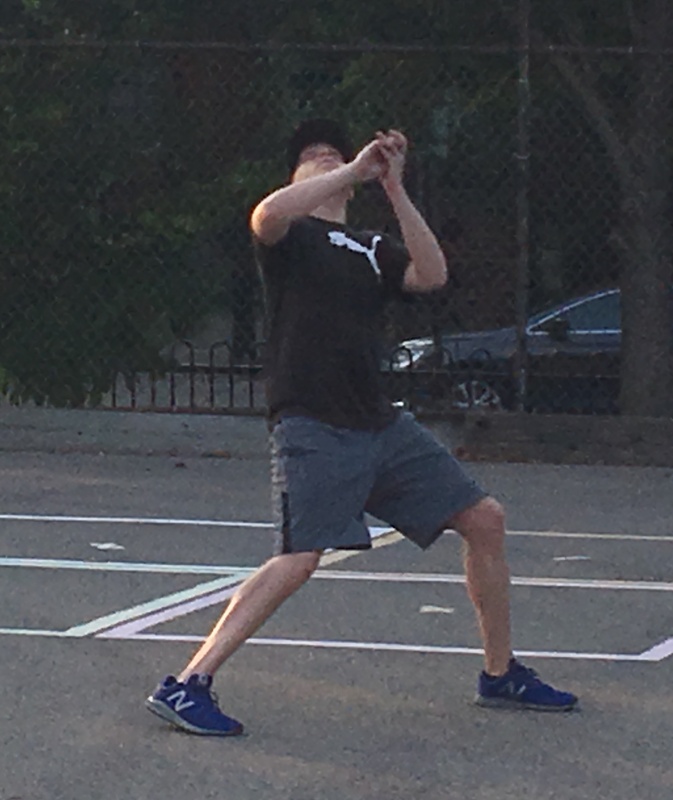 Questionable Outfit had completed a first round sweep of Eastbound & Dahn, winning the best-of-five series 3-0 and advancing to the Wiffle Series for the fifth consecutive year. – Bob earned the win for Questionable Outfit, pitching two innings without allowing a hit or a run. – Mike pitched two innings of relief for Questionable Outfit, and was the only pitcher to allow a hit, giving up two hits and no runs in two innings. – Miller and Tom each pitched one inning of relief for Questionable Outfit, each allowing no hits and no runs. 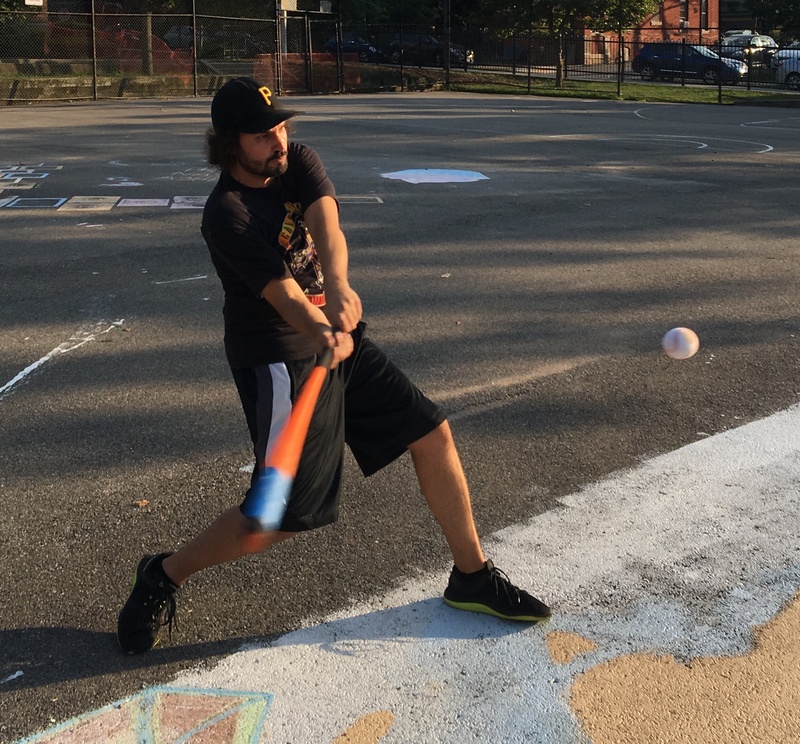 – BK took the loss for Eastbound & Dahn, giving up sixteen runs on twenty-two hits in six innings. 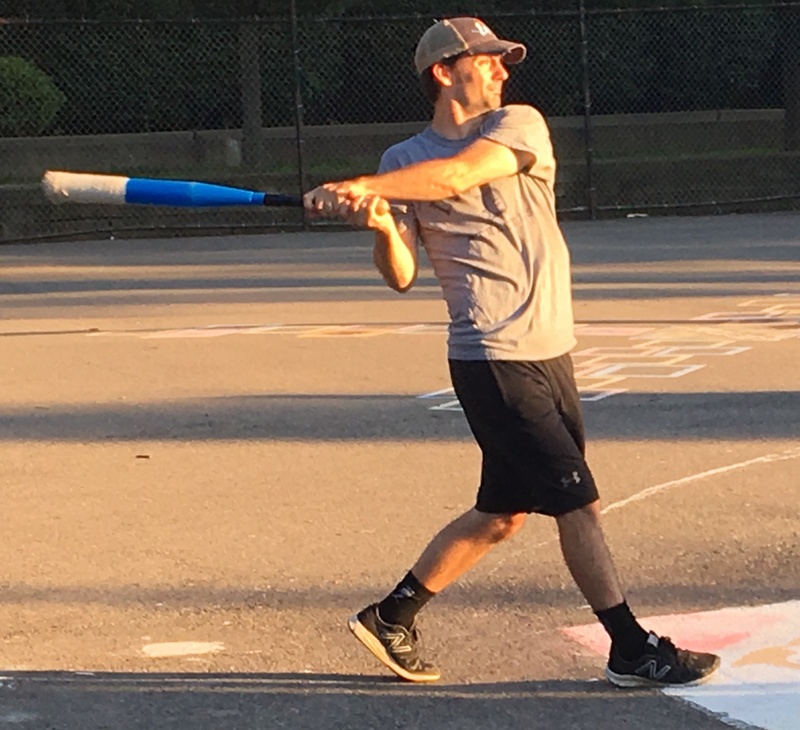 – Miller led Questionable Outfit at the plate, hitting for the cycle while going 7-for-8 with a single, a single-game playoff record four doubles, a triple, a home run, four runs scored, and six RBI. – Nate C. and Nate O. had the only hits for Eastbound & Dahn, both singles. 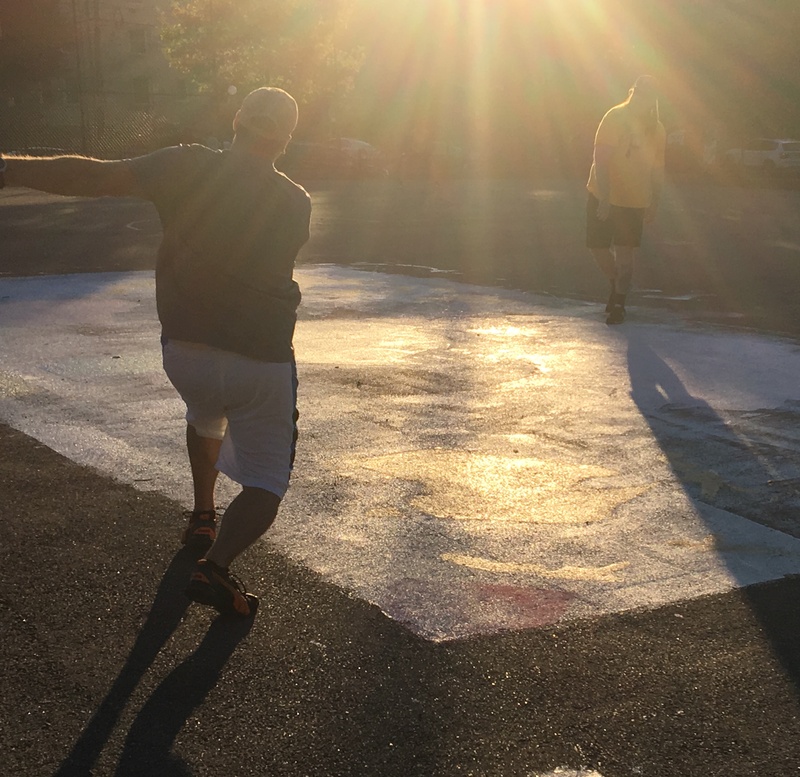 Kyle of Eastbound & Dahn attempts to peg Bob with the ball as he approaches third base. Bob went 2-for-4 with two singles, a sac fly, and two runs scored in the game 2 Questionable Outfit victory. 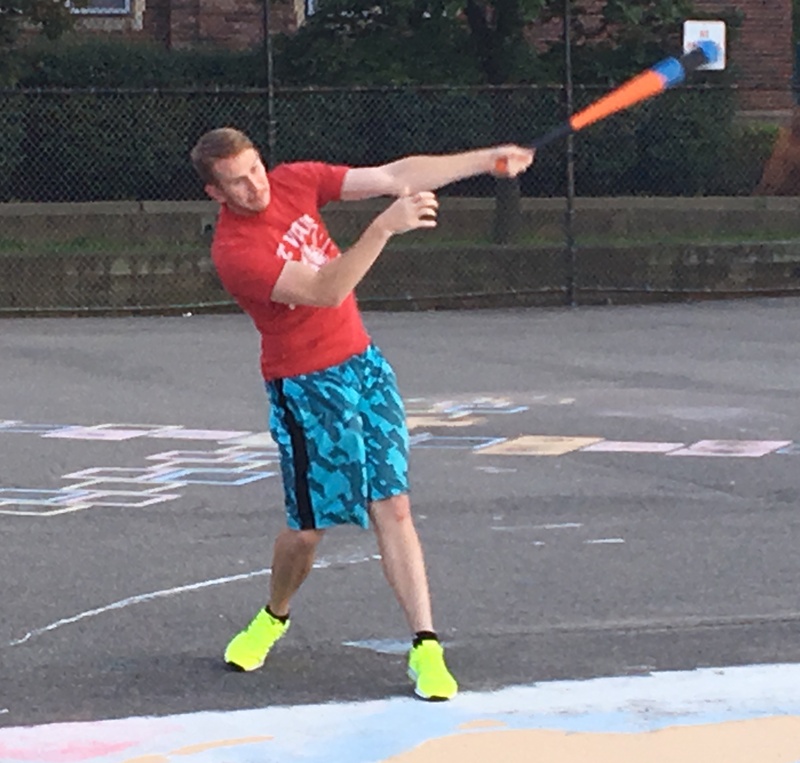 Questionable Outfit moved one step closer to clinching a spot in the 2017 Wiffle Series with a 5-2 win over Eastbound & Dahn in game two of their best-of-five series. After getting beaten soundly in game on of the series, Eastbound showed life in game two, keeping the game close throughout. 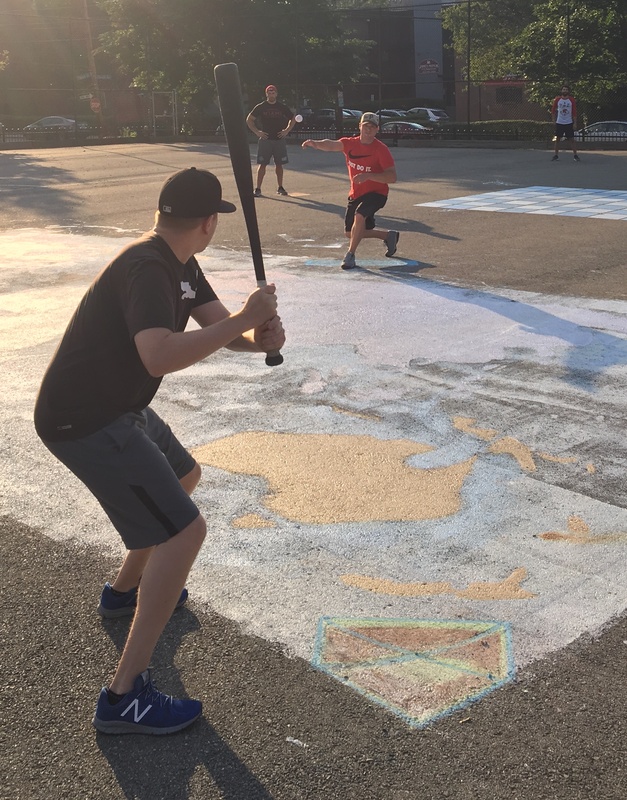 Ultimately, Questionable Outfit’s hitting and Eastbound & Dahn’s weak defense led to a second consecutive victory for Questionable, as Tom and Mike each went 3-for-5 to lead them on offense. Mike and Bob split the pitching duties, allowing only two runs in the victory. 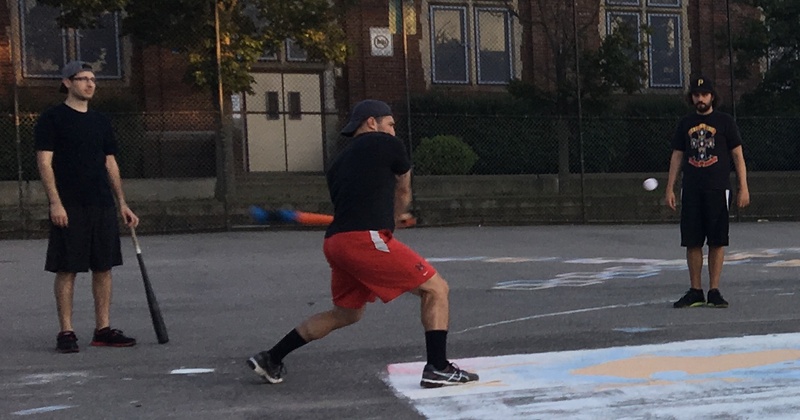 Questionable Outfit can close out the series in game 3 and advance to the Wiffle Series for the fifth consecutive year. Mike took the mound for Questionable Outfit, and he retired the side in order in the top of the first, sending Nate O and Christian down consecutively. Questionable got on the board in the bottom of the second, starting when Bob singled off BK and moved to second when BK retired Tom for the first out of the inning. Mike then tripled, scoring Bob, and Questionable led 1-0. BK then retired Miller to end the inning, and Eastbound & Dahn trailed by a run. 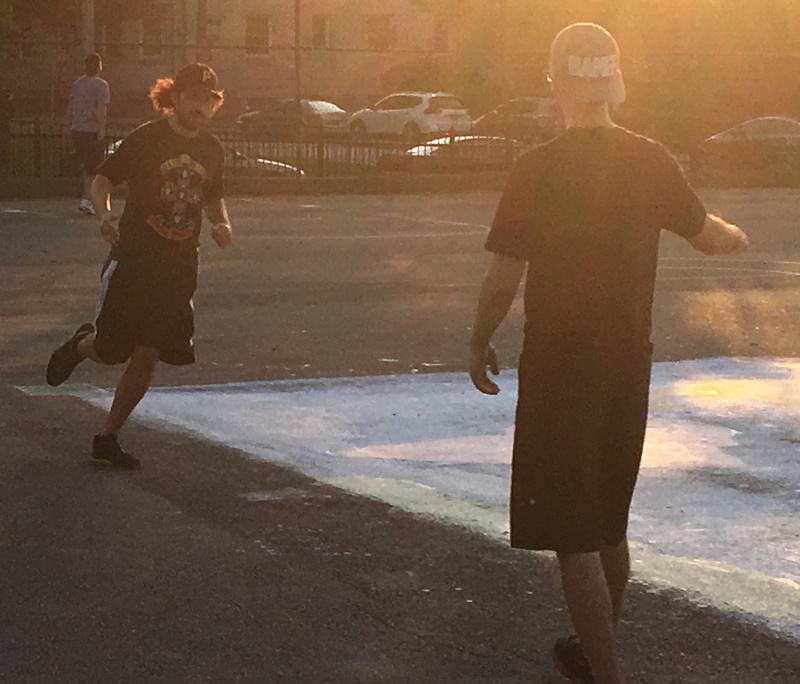 Mike rolled through the top of the second, retiring Kyle and BK in order. Questionable would extend their lead in the bottom of the second. Bob singled and moved to third when Tom followed with a double. Mike then singled to load the bases for Miller, who had a rare opportunity for a grand slam. He didn’t homer, but he singled, scoring Bob, and the score was 2-0. Bob then had an opportunity for a grand slam as well, but he hit a high fly ball to center. Nate O caught the ball for the first out of the inning, but Tom tagged up and scored on the play, making the score 3-0. Tom then doubled, scoring Mike, and Questionable Outfit led 4-0. BK escaped the inning by retiring Mike for the second out, and Eastbound was down by four. Adam tripled to start the top of the third, the first Eastbound hit of the game. Eastbound couldn’t capitalize on the runner in scoring position, as Mike retired Nate C and Nate O, stranding the runner, and ending the inning. Miller led off the bottom of the third with a double, and two batters later, Tom hit an RBI single to score him, pushing the score to 5-0. BK then retired Mike to end the inning. Questionable removed Mike from the mound in the top of the fourth and brought Bob in from the bullpen. He struck out the first batter he faced, Christian, and then retired Kyle to end the inning. BK matched him in the bottom of the fourth, retiring the side in order, and the score remained 5-0. Eastbound would get on the board in the top of the fifth. BK singled to lead off, and he scored from first when Adam followed with an RBI double that made the score 5-1. Bob then retired both Eastbound Nates to strand Adam at second and end the inning with Eastbound down four runs. Mike singled with one out in the bottom of the fifth, but Questionable couldn’t add to their lead, as BK retired Miller to strand the runner and end the inning. Christian led off the top of the sixth with a double, and he moved to third when Kyle grounded out for the first out of the inning. Bob, not paying attention on the mound, allowed Christian to essentially steal home on the play, and Eastbound cut the lead to 5-2. The rally would end there, however, as Bob retired BK for the second out of the inning, ending the game and giving Questionable Outfit a 5-2 victory. 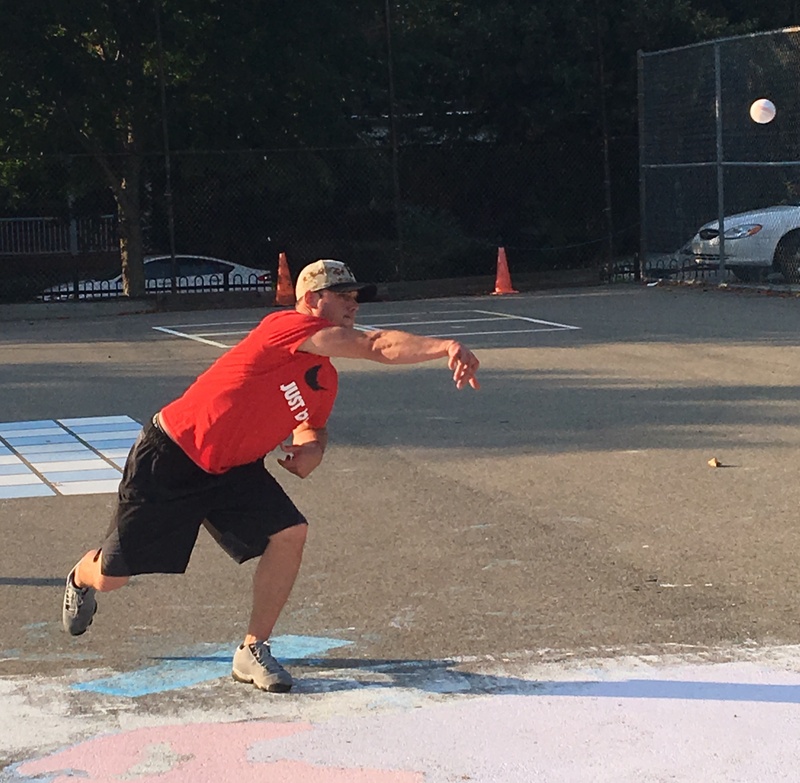 The win gave Questionable Outfit a 2-0 lead in the best-of-five first round series and put them one win away from clinching a spot in the 2017 Wiffle Series. 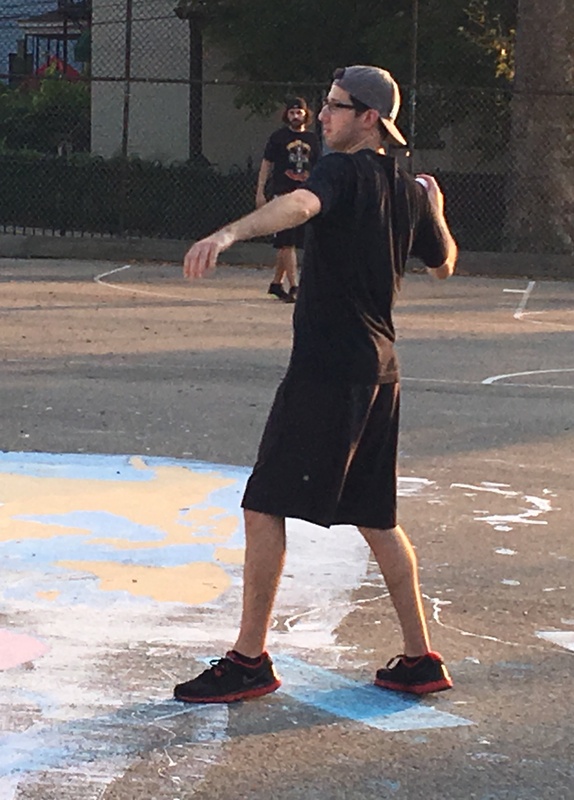 – Mike earned the win for Questionable Outfit, allowing only one hit and no runs in three innings. – Bob pitched three innings of relief for Questionable, giving up two runs on three hits and striking out one. 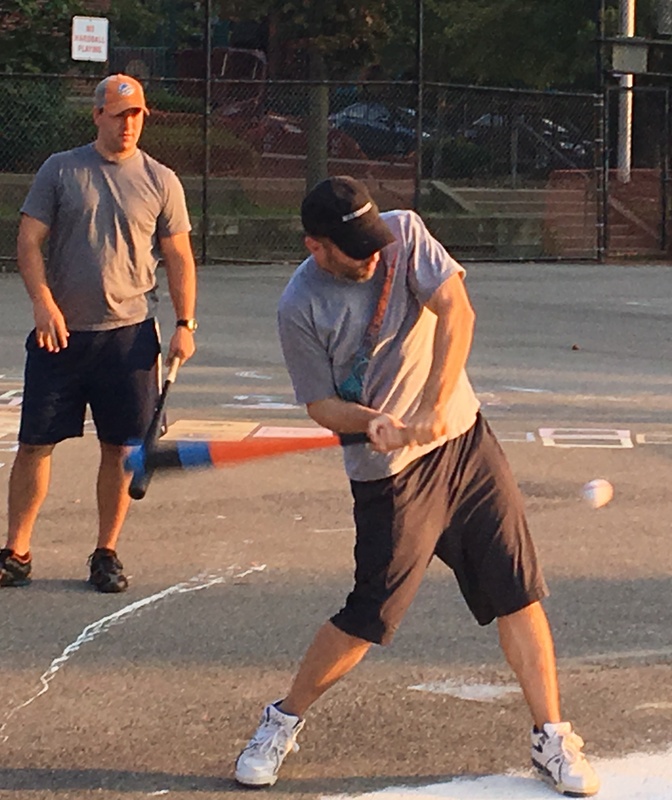 – BK took the loss for Eastbound & Dahn, surrendering five runs on ten hits in five innings. – Mike and Tom each went 3-for-5 to lead Questionable Outfit on offense. Mike had two singles, a triple, a run scored, and an RBI. 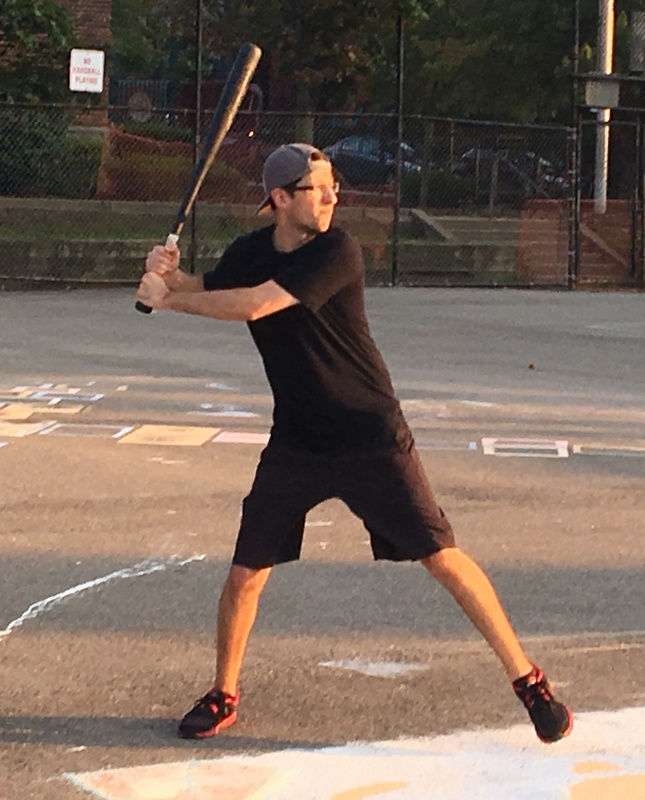 Tom had a single, two doubles, a run scored, and two RBI. 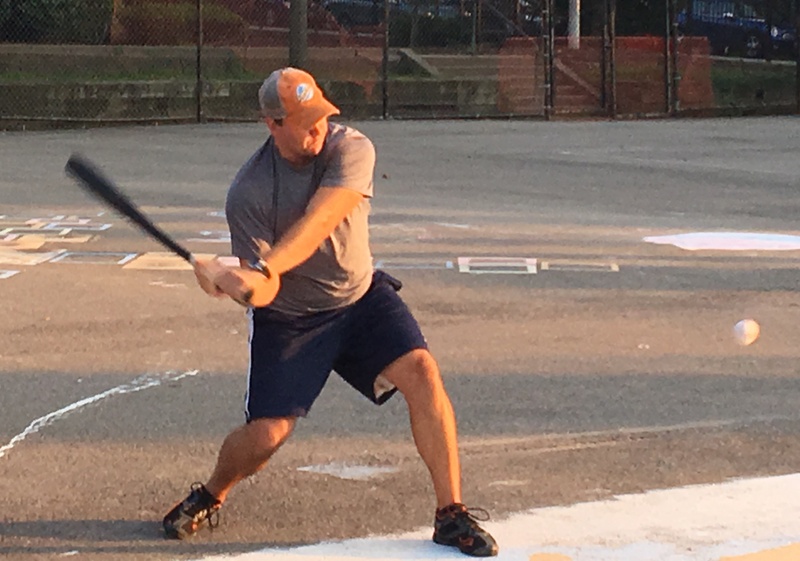 – Adam led Eastbound & Dahn on offense, going 2-for-2 with a double, a triple, and an RBI.